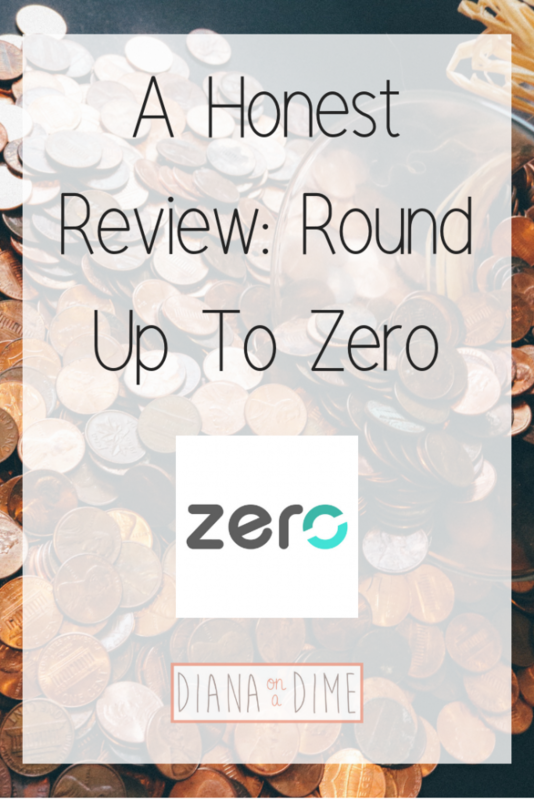 This is a guest post written by Good Nelly, founder of My Way Of Viewing, check her out for tips on all things personal finance. Paid off debts? 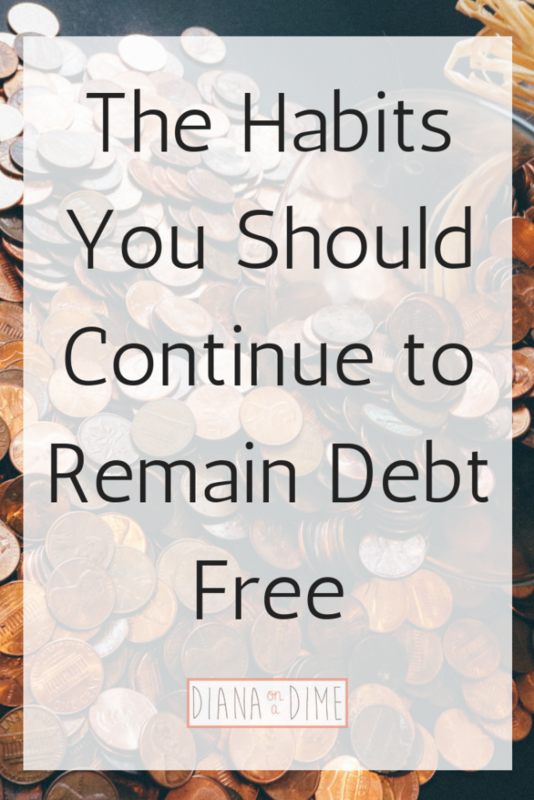 What habits should you continue to remain debt free? It requires no mention that life without debt is what we all want to achieve. No one of us want to be in debt. There are so many things to do in life than wasting your precious time worrying about how to pay off debt. But, what happens when you pay off all your debt… Do you go back to your old habits and routine which led you to debt? No! On the contrary, when you have finally been successful of getting out debt, don’t leave any stone unturned to put debt away from your life. Few debts you should always avoid are credit card debt, payday loan debt, personal loan debt, and so on. However, you can take out a mortgage or an auto loan but make sure you manage them efficiently. Here are a few habits which you should continue or develop to keep debts at bay. Instead of thinking ‘budget’ a thing that existed in the past and you no longer need it, revisit your budget and make modifications. I won’t attach the line ‘if required’ because most likely, you need to make modifications from time to time and it’s not a one-time affair. Then only, you’ll be able to manage your financial life the way you want. First of all, revisit your budget at least once in three months to be sure that everything is working in your favor. However, if you’re expecting any financial change, then I would suggest that you revisit your budget every month. Making even minute changes can help you follow it and at the same time, help you attain your financial goals. You were compelled to change your spending behavior to clear your debt. Continue that habit. I would say that now you should scrutinize it even more since you’ll have to get back on track and build a good financial future. So, stop splurging your hard-earned dollars and maintain strict vigilance on what and how much you’re spending. Curb your desire for spending since you have some liquid money after a long time. However, celebrate occasionally but not spend more. And, when you want to spend on something, think and plan it carefully. If you look this way, you have wasted a few years struggling to pay off debt and not able to pay attention to achieve your financial goals. So, now devote time and save a significant amount to attain your short-term and long-term monetary goals. You should deposit an amount into your retirement fund, buy a house if you don’t have one, save for your children’s education if required, and plan for your financial future. Also, have an emergency fund if you don’t have one. It may help you avoid falling into debt in the future. The financial advisers always say to check your credit reports at least once a year even when you’re into debt and you know that there are negative listings in your report. However, keep this habit as you can dispute inaccurate negative lists, if any, which can reduce your score. Pull your three major credit reports, which is usually free of cost, once a year. Make sure the spelling of your name, your address, and other important personal details are accurate in the credit reports. Paying off credit card debt is a bit tough since you have to deal with relatively high-interest debts. So, when you pay off debt, make sure it doesn’t come back again. So, what habits will you follow even after you pay off all your debts? Do not make the mistake of closing your credit card accounts, especially the oldest one. The length of your credit history is an important component of your credit score. Another thing, when you close a credit card, your credit limit decreases, thus increasing your credit utilization ratio. Therefore, keep the habit of managing your credit cards by paying back the outstanding balance at every billing cycle. Above all, make a promise not to fall into debt again! Do you know the most important habit which you should continue? Just as you promised yourself to get out of debt, now, make a promise every day not to fall into debt again. Believe me, it will help you make the necessary decisions and maintain certain habits to achieve it. Allot a certain amount, to spend during the weekends, beyond which you won’t spend. This will help you to enjoy but within your limit. If you can foresee that you’re about to experience a financial hardship, inform your creditors beforehand. For example, if you guess that you can be laid off, inform your creditors instead of waiting for that to happen. When you inform a credit card company about your situation, it can reduce the interest rate temporarily. It may also extend your payment deadline so that you have some time to make the payment. So, maintain these habits, have faith in your decisions, and a enjoy a debt free life! 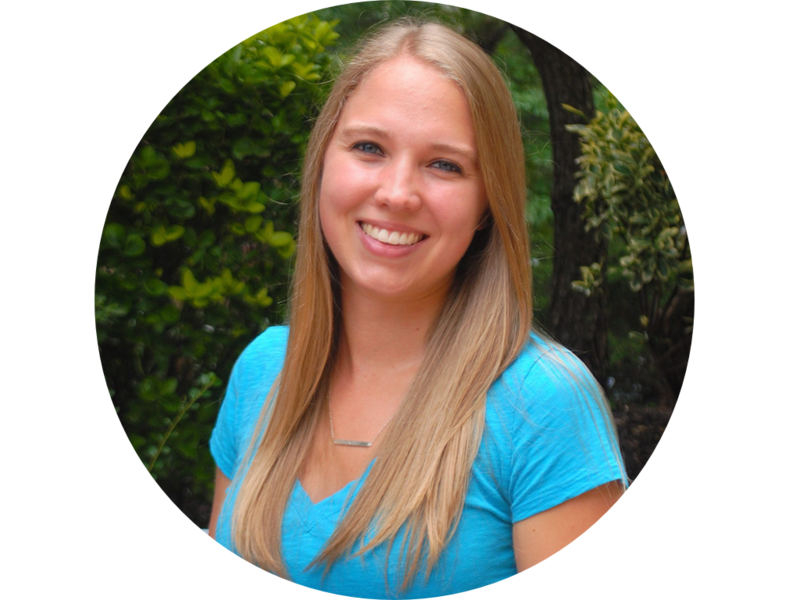 Good Nelly analyzes financial happenings and writes articles to aware and help her readers plan for their financial future. You can go through her blog My Way Of Viewing. She has been associated with Debt Consolidation Care for a long time. However, she has contributed her articles to other websites, too. Be sure to follow her on Facebook, Twitter, and G+. When I first came to the realization that I had $201k in student loan debt, I immediately hit the Internet to learn how I could manage this absurd amount of debt on a teachers salary. All things about finances came up, zero based budgeting, debt pay off plan, Dave Ramsey, the list goes on and on. 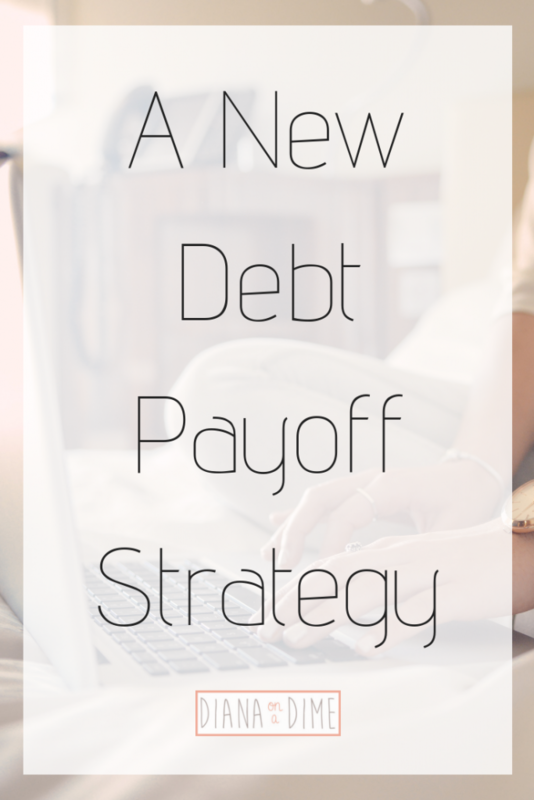 It was overwhelming, but while reading article after article, I slowly created a plan to tackle my debt. I wasn’t as overwhelmed by the process because I saw how others had done it. 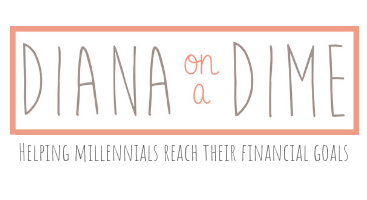 I knew I wasn’t alone in this and could tackle this debt. That was 3 years ago and I swore by the debt avalanche method for the last 3 years. If you don’t know what the debt avalanche or snowball is, check out my post here to learn what these two methods are. Both methods are great and ultimately you need to decide what works for you. Now that I’ve paid off $102k of my debt, I’m beginning to experiment with my finances a bit more. I have more wiggle room in my budget to get creative with my strategy and I’m definitely a lot more confident in my financial decisions. The first change I made in my plan to pay off debt. I refinanced my private loans. This isn’t for everyone, but after paying off my debt for 3 years, I wanted to see if I could save money in interest by refinancing. I refinanced with Earnest (use my referral link and get $200 when you refinance) and lowered my rate to 4.97% and shortened the life of my loan to 5 years instead of 20 years. If you’re considering refinancing, check out my steps to decide if refinancing is right for you. Yes, refinancing gave me a higher monthly payment on my private loans, but it is saving me money in interest every month and throughout the life of the loan. When I refinanced, I continued using the debt avalanche method, which meant my focus account was now a federal loan I have. This is when I began to really think about my future. My new strategy to pay off my debt. Lately I have been really thinking about my future. In all aspects really, my career, my living arrangements, etc. This has made me think more deeply about my debt payoff strategy. I have made the decision that I want to start looking at places to live so that I can move out of my parent’s house next summer. This will obviously slow down my debt pay off, unless I can find ways to increase my income. My plan is to now focus on paying my debt with the highest monthly payment, which would be my private student loans. The reason I am doing this is because when that is paid off, it will free up $865/month in my budget to throw at debt, or afford living expenses that I will be adding to my budget. It also makes more sense since my federal loans have so many more options for me, especially being a teacher. Once this debt is paid off, I will be moving onto my federal student loans and switching back to the debt avalanche method for these. The reason I will be switching is because those loans don’t have individual monthly payments, they are all wrapped up in one monthly payment. This will allow me to focus on one loan at a time based on the largest balance and highest interest rate, saving me more money in interest in the long run. Remember: Personal finance is personal. I preach this all the time, personal finance is personal. What I do may not be for you, but it works for me. 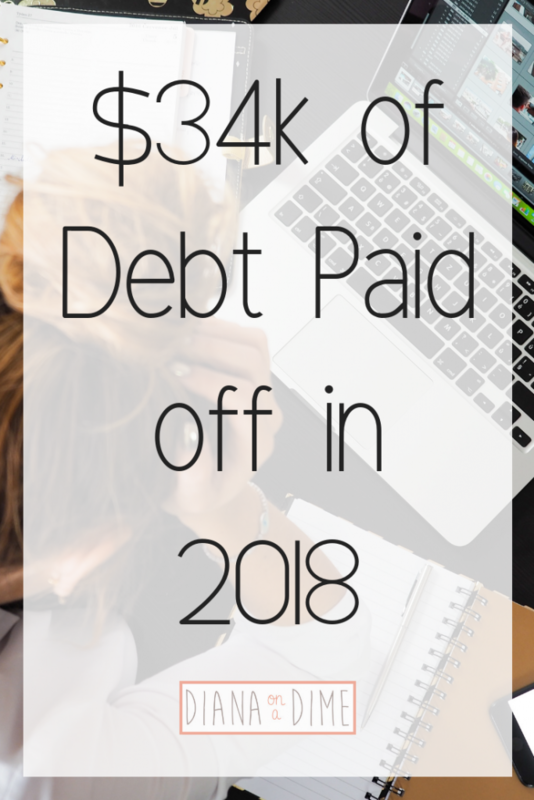 The important thing to remember is that we are all working towards reaching financial freedom and a stepping stone to do that is to pay off all debt. It’s important to evaluate and change our plans as our lives change, which is exactly what I am doing. How have you changed your plans as your life has change? I’d love to hear about it in the comments! Being on a debt free journey is hard. It’s hard to change habits, it’s hard to say no, and it’s hard to see how much money you are throwing away in interest. That last one kills me every month, literally makes me want to throw in the towel and be done with all this nonsense. I’m being dramatic, but you get my point. It’s hard. There is nothing easy about this journey and burning out from it is very real. Whether your journey is less than a year, or is going to be more than 5 years, it’s important to recognize how you are doing throughout the journey. Check in and make adjustments if you feel like you’re slipping into burning out. Throughout the last 3 years of my journey to pay off $200k in student loans, I have come to, or close to, this feeling a lot. 1. You can do anything for a short time, but not for a long time. 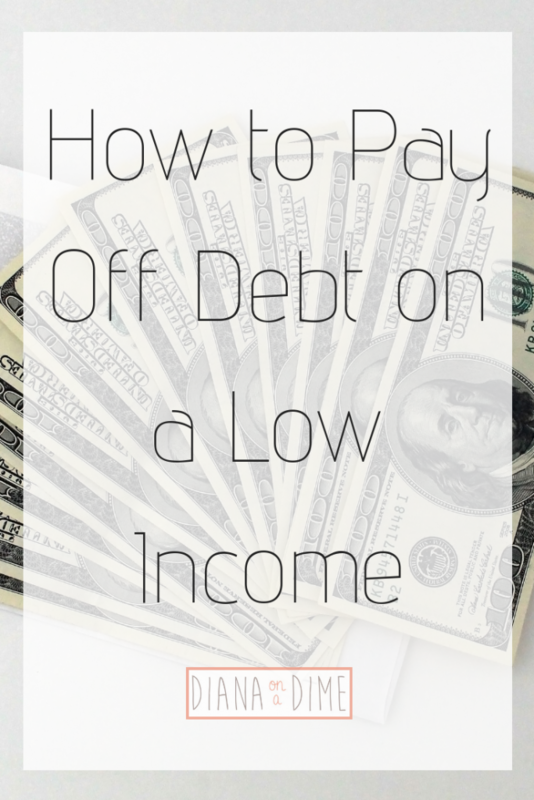 You need to determine your debt free date before you do anything else. If your date free date is 6 months to a year away, I say go absolutely gazelle intense until your debt is gone. The sacrifices you make for that year will be totally worth it to be debt free in a year or less. Do everything in your power to get them gone, so you can live your life on your terms. However, if your journey is going to be longer than that, I would highly suggest not going crazy gazelle. I’m not saying don’t pay off your debt, I’m saying that you need to plan your budget a little differently. For example, I sat down with my budget when I started this journey and decided what I valued and what I didn’t value. Things that I value that stayed were saving and investing money for my future (I cut down this category, but it stayed), my health, and spending time with friends and family. This means that I have a higher grocery budget and I keep fun money in my budget to go to happy hour and dinner with friend and family. My journey was planned to be 8 years and I was definitely not giving those things up for 8 years. I would go absolutely insane and definitely risk burning out. Of course, you’re going to have to spend money on things you don’t value, but you can find creative ways to make them more affordable. For example, I moved back in with my parents to save money on rent. 2. Celebrate smaller milestones before burning out. This is important, especially if you’re tackling a mountain of debt. 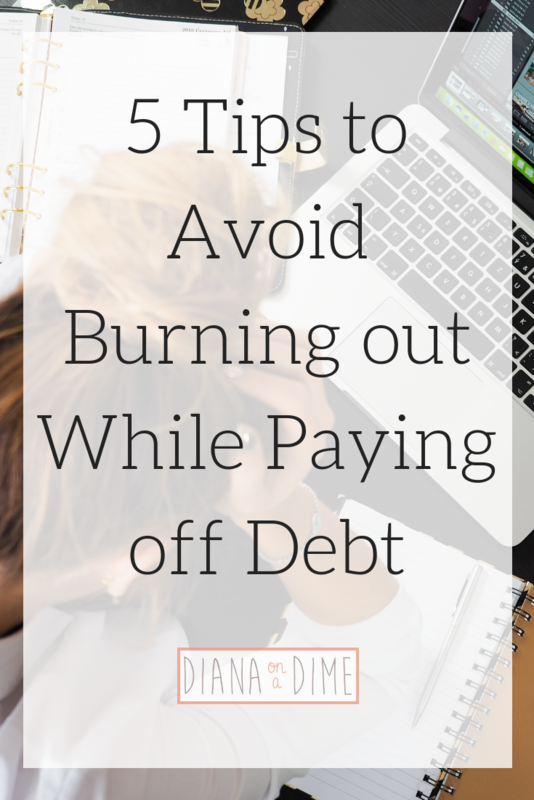 If you wait until you have completely paid off you’re debt, you are going to burn out. If you don’t, you’re amazing and I give you major kudos because I could never do it. Figure out what you need to keep motivated and celebrate those wins. This might be celebrating every $10k paid off, or it might be celebrating every loan paid off. For me I do a combination of both, it really depends on how big the loan I’m focusing on is. Now that I’m more than halfway paid off, my loans are rather larger. I celebrate percentage paid off and paying off individual loans. It’s important to note that I don’t go crazy with my celebrations. I treat myself to a meal out, or I get my nails done. Something small that I don’t normally put in the budget, but will when I know a celebration is looming. 3. Make your money go further. Budgeting allows you to make your money go a lot further. What I mean by this is that you know exactly where your money is going. This allows you to stop your money from going to certain things. This goes back to number 1, cut out all the things you don’t value. Do you really need that subscription service, is there a cheaper alternative that provides the same service? When your money is going to so many different things it can seem like you have no money to go towards debt. When I fist started cutting my expenses I was scared to change my lifestyle. When done properly, you probably will see that your money is going towards a lot of things that don’t bring much value to your life. Once your budget is more simplified and only the things you truly value, you will see that you have a lot more money to play with. By taking the time to simplify your budget and your expenses, you will avoid burning out in the future. When paying off a lot of debt I definitely recommend focusing on what you have accomplished. Yes, it is important to know how much debt you have, but try not to focus on that. To avoid burning out, you need to focus on what you have done so far. There are many different ways to do this. I recommend using undebt.it to track your progress and to always know when your debt free date will be. When you focus on what you have left, it can feel more overwhelming. By focusing on what you have done, it acknowledges what you have done and doesn’t make the rest of the journey seem so hard. 5. Don’t be afraid to stray from the plan. When you’re on a long debt free journey, it’s important to listen to how you’re feeling. I wouldn’t recommend making rash decisions based on emotions, that’s just a recipe for disaster. What I do recommend is sometimes changing the plan based on how you’re feeling about your debt. 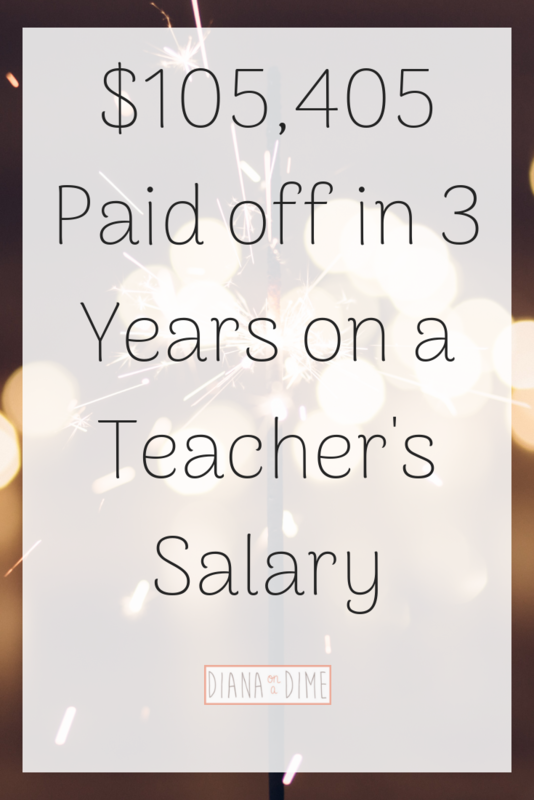 For example, I was so angry at my private student loans and how much money I was losing on interest that I ended up refinancing with Earnest to save me money. I only recommend this if you are doing it to save money in the long run, not to lower payments and cost you more long term. I am happy to help you through this process, if it’s something that intimidates you. I totally was before I learned about refinancing and making it work for you. Another example is to change your debt payoff order based on how you’re feeling. I was struggling through one of my large loans and was getting pretty annoyed that I hadn’t paid anything off in awhile. So, I decided to switch my focus to a smaller one that I could pay off in a month. This gave me the quick motivation I needed and freed up some cash to go towards my snowball. Remember: This is your journey, do what you need to do to keep going.